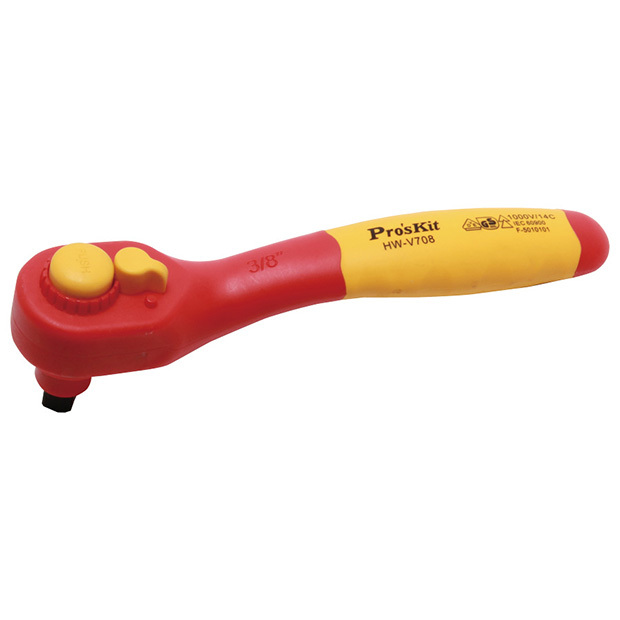 VDE 1000V Insulated 3/8" Drive Reverse Flat Ratchet Handle - 8"
Square drive 3/8", Teeth 36, OAL 7.9"
Reversible for clockwise and anti-clockwise directions. 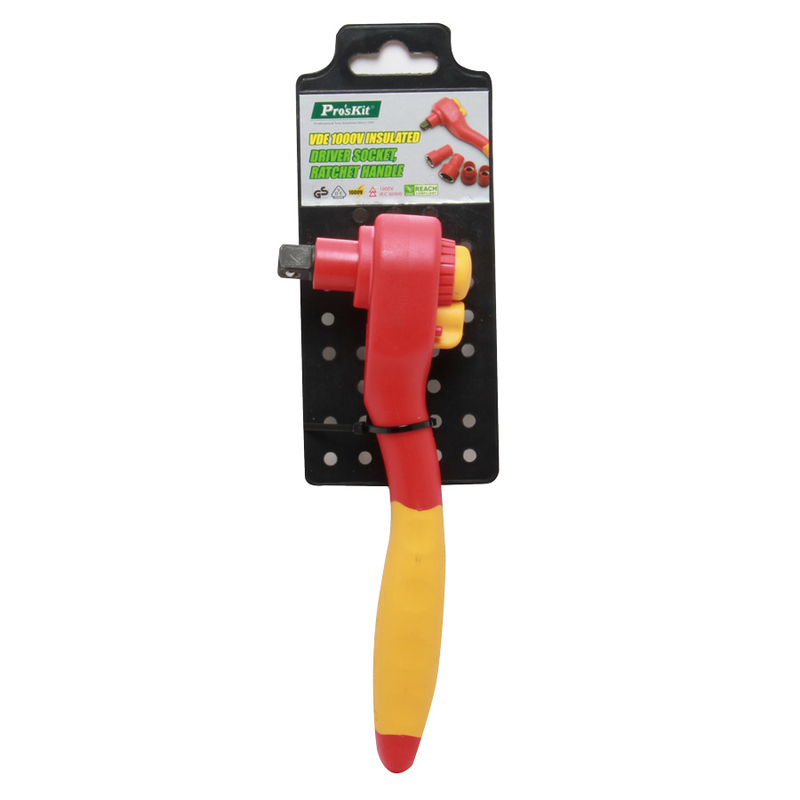 Quick, easy and reliable locking of attached sockets. Chrome vanadium steel, forged, oil-hardened.